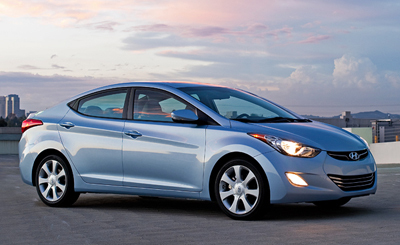 The Hyundai Elantra was awarded 2012 North American Car of the Year from a panel of 50 independent automotive journalists. This exclusive award is presented by a jury of 50 automotive journalists representing magazines, television, radio, newspapers and web sites around the U.S. and Canada. The award was earned through a series of votes by the journalists for cars that were new or substantially changed for the 2012 model year. The award was presented to Hyundai at the North American International Auto Show in Detroit January 9, 2012. The Hyundai Genesis was named North American Car of the Year in 2009. “The Hyundai Elantra is sporty, yet sensible,” wrote Jayne O’Donnell, a member of the jury and a reporter for USA Today. 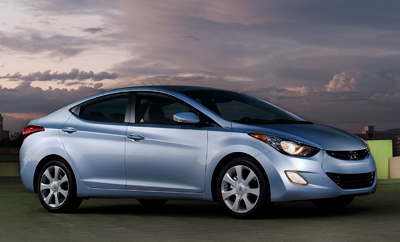 The Volkswagen Passat and Ford Focus were finalists, but the Hyundai Elantra won. The jurors gave the Elantra 174 points, the Passat 161 and the Focus 155. Jurors evaluate the cars for innovation, impact on the industry, design, safety, handling, driver satisfaction and value. This is the 19th year of the North American Car of the Year award, which is administered by an organizing committee and funded with dues paid by the jurors. There are no paid positions. Automakers do not pay to have their vehicles considered or to use the awards in ads.